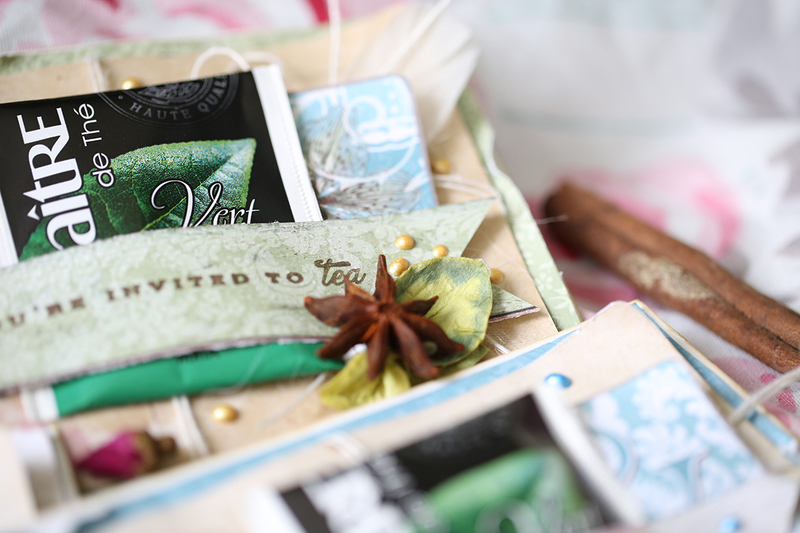 The BoBunny Blog: Tea Party Invites! This time I have prepared tea party invitations. 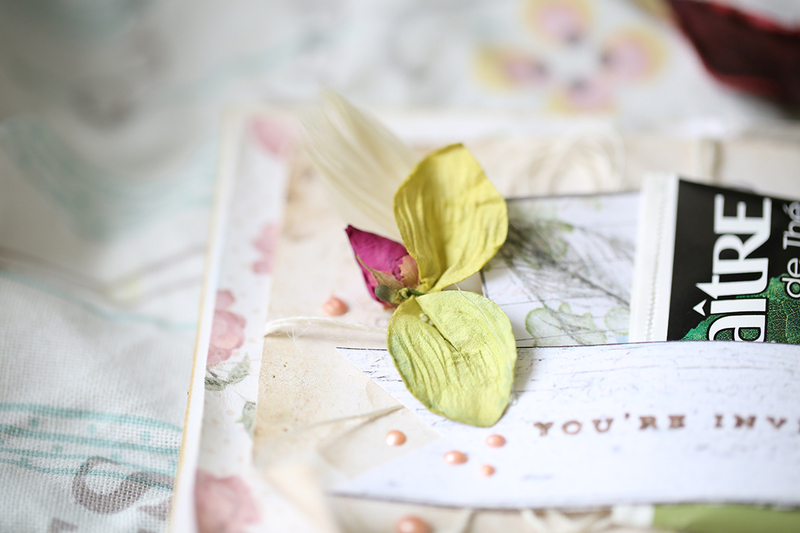 The main focus is on the vintage inspired Garden Journal papers and wonderful Pearlescents. 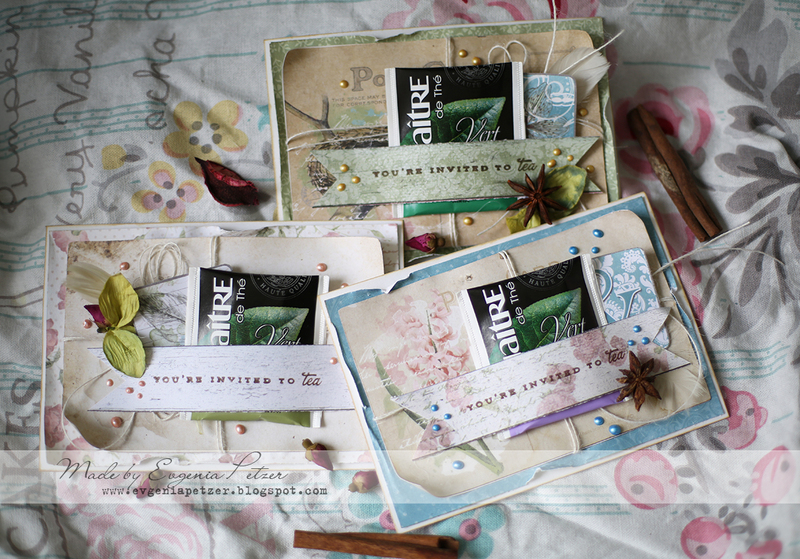 I wanted them to look like postcards, so the Post Card sheet from this collection was just perfect for my idea. 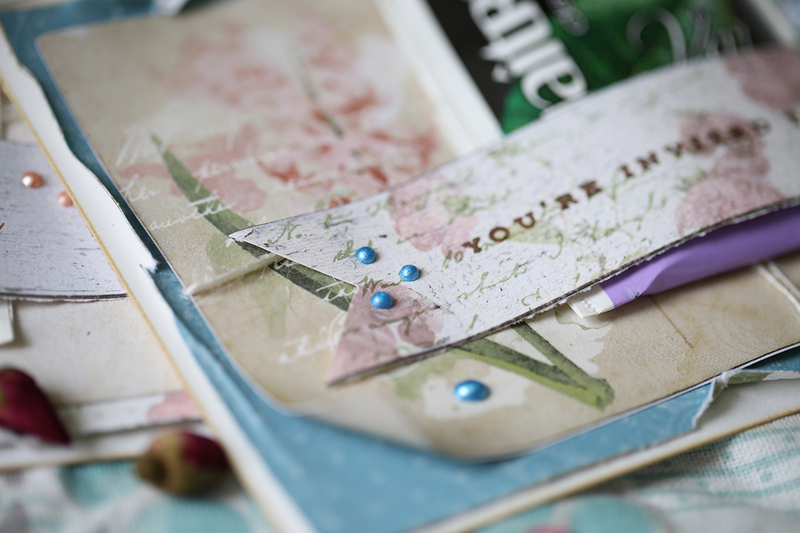 Little tip: If you love the vintage look of your papers (especially the corners), then this tip might be helpful. I normally take the water brush, add some water on it and "draw" on the corners and other parts of paper, where it is needed, the paper then becomes a bit damp and you can easily curl it for that look. 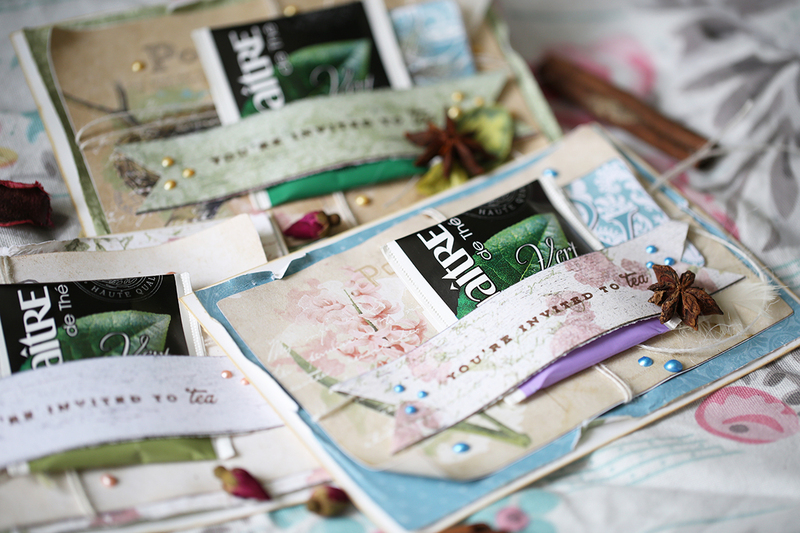 To make the invitations look even more appealing I have added some spices and real tea bags. I have used the Pearlescents of matching colors on each of them, I love the dimension and the nice sparkle that they give. It was nice to have it.Party means always fun and joy to me.So like other people it is a pleasure to have party invitations from anyone.